This cast iron shoe has a 5/8″ rd. opening, with set screw. It arrives in a standard angle of 40 degrees. However, it has some angle tolerance and can be adjusted with a belt sander to accommodate the angle of your stairs. 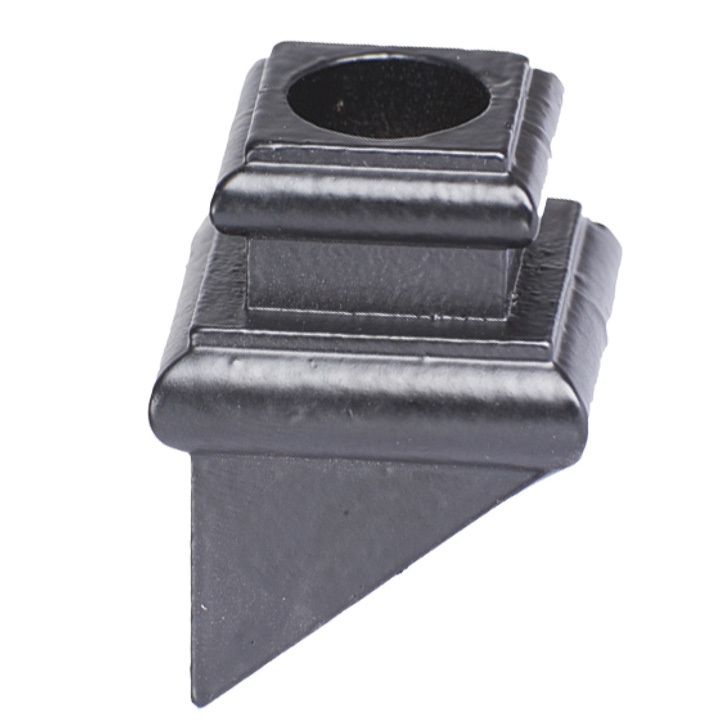 Shoes are designed to hide the installation point of Iron Balusters.This product is designed to cover the installation of the round bar, going into a round hole.